Nearly a decade has passed since ObamaCare became law in 2010 and fundamentally changed the way that our healthcare system in America works. Called the “Affordable Care Act,” ObamaCare has been anything but affordable. Not only have premiums on the ObamaCare exchanges continued to rise, but deductibles have become so high that covered care is practically nonexistent for many, and the budgetary effects of the program both for ObamaCare itself and the Medicaid expansion it encouraged are exploding state and federal spending alike. Rep. Biggs is right on with the Path to Full ObamaCare Repeal Act. Republicans have lost sight of what they need to do in the healthcare space, which is create a full reset of the system and implement a free-market system that works for consumers, not one that works only for big government and big self-interested insurance companies. Repealing ObamaCare point blank as H.R. 83 does would set America on the right path. The first step toward creating the necessary free-market health system is ridding the system of ObamaCare, which is quickly crumbling into what the left wants: single-payer health care. As we approach 2020, more and more Democrats are seriously pitching ideas like Medicare for All, a public option, or an otherwise entirely government-run health care system. As we have seen play out in other countries around the world, socialist health care as such results in limited and inaccessible care. It leaves sick individuals in need of care -- many capable of paying for it if they had the option -- to be told by the government that they have to wait or even that they can’t get the care they need. Many choose to come to America to get the care they need because they have no other choice. We cannot subject Americans to this same problem. Privatized care free of government interference and increased agency for consumers to make decisions about their own health care, as well as heightened transparency and competition in the health market is crucial to lowering costs of healthcare and increasing the quality of that care. Democrat proposals for government-run care do the opposite. Sen. Kamala Harris (R-Calif.), who is running for president in 2020, has even advocated for the full elimination of private health insurance. This is far from former President Obama’s plan that “if you like your plan, you can keep it” although that turned out to be one of the biggest lies in political history. At least Sen. Harris isn’t lying about what progressives really want. Anyone who cares about the quality of health coverage that Americans have access to should be frightened by these proposals and should encourage his or her representative and Senators to support legislation like Rep. Biggs’ bill, to move America away from -- not toward -- single payer health care. We have far to go in reforming the health care system beyond simply repealing ObamaCare, but that is the necessary first step toward healthcare freedom. Republicans need to be wary of proposals to repackage ObamaCare and brand it as free-market, as these types of proposals -- which are more “band-aid on a bullet wound” than anything else -- have serious potential to move us closer to instead of further away from single-payer. Once we reset the system to pre-2010, as Rep Biggs’ bill would do by fully repealing ObamaCare and fully restoring the law as it was written before ObamaCare was enacted will allow us to take a serious look at the free-market way to reform the healthcare system we had before ObamaCare. This includes, more than anything else, removing government interference between patients and their doctors, increasing competition, and opening up options to allow individuals to pay for the care they need without unnecessarily forcing plans on folks that don’t at all serve their health care needs. It’s clear that Republicans got hit hard in the 2018 midterm elections on health care. 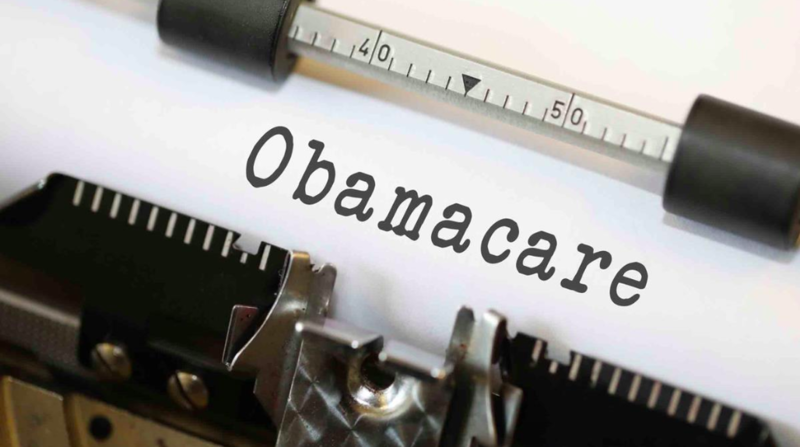 Many had voted to repeal ObamaCare in 2015 and again to reform the health insurance system with the American Health Care Act in 2017, but very few had an answer to what their vision of the ideal health care system would be. That discussion needs to happen. We need to embrace healthcare freedom instead of run away from it. This process starts with full repeal.